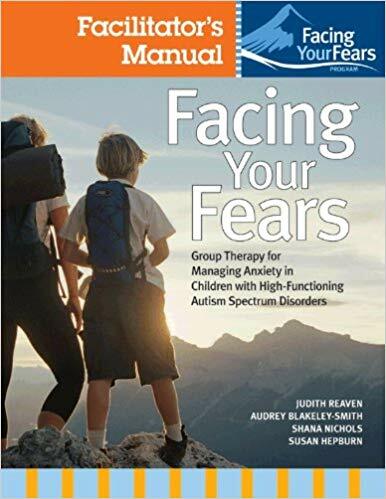 Authors: Judy Reaven Ph.D., Audrey Blakely-Smith Ph.D., Shana Nichols Ph.D., Susan Hepburn Ph.D.
Anxiety is one of the biggest challenges faced by children with high-functioning autism spectrum disorders and Asperger syndrome. 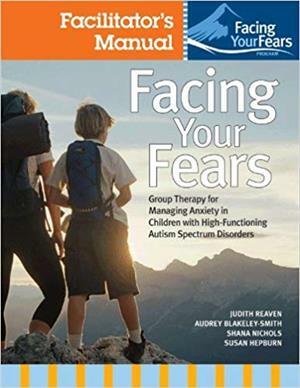 Help them conquer their fears—and participate more fully in home, school, and community life—with this innovative group therapy program for children 8–14 years old and their parents. 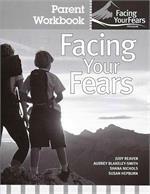 Facing Your Fears includes everything professionals need to run a successful program—a Facilitator's Manual, one Parent Workbook, and one Child Workbook. With the Facilitator's Manual, group leaders will get complete guidance on conducting each session: clear step-by-step instructions, materials lists, goals, sample schedules, and helpful hints for running sessions smoothly. The Parent Workbooks and Child Workbooks (also sold separately in packs of 4) give children and families a wide variety of creative activities to help them fight fears and worries head-on, both inside and outside the group setting. And the included DVD inspires and motivates kids with sample movies of real children facing their fears. Essential for every mental health professional working with children with ASD, this innovative program will help families struggling with the burdens of anxiety and increase children's odds for lifelong academic and social success. "The consistently clear and precise language, the usage of many visual cues in the childs workbook and the practice of preceding tasks with clear examples that a child can mimic to be successful also exhibit the authors experience in creating content that will be easily adopted by children with autism." 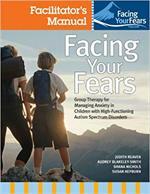 Authors: Judy Reaven Ph.D., Audrey Blakely-Smith Ph.D., Shana Nichols Ph.D.